Check out the Kroger Co. Zero Hunger | Zero Waste Innovation Fund inaugural call for projects. Submit a Letter of Intent from Feb. 4 to midnight ET on March 4, 2019. Full applications will be invited by March 29; grant recipients will be notified of awards in May. Full details on who should apply and the evaluation criteria are available at the link below. Grants will be awarded for emerging technologies and solutions focused on food waste prevention, recovery and recycling; awards will range from $25,000 to $250,000. Grant recipients will also have access to mentoring, the potential to pilot their solution with Kroger and partners, the opportunity to network with peers, and the opportunity to apply for follow-on funding. The plan includes a focus on ‘fresh food prepared in on-site kitchens,” and follows the EPA Food Waste Reduction hierarchy, incorporating plans for food waste prevention, diverting surplus food for human consumption, and diverting food scraps from landfill through composting. You can read the entire NRDC blog post at https://www.nrdc.org/experts/joanne-berkenkamp/k-12-and-food-waste-reduction-innovations-heartl. 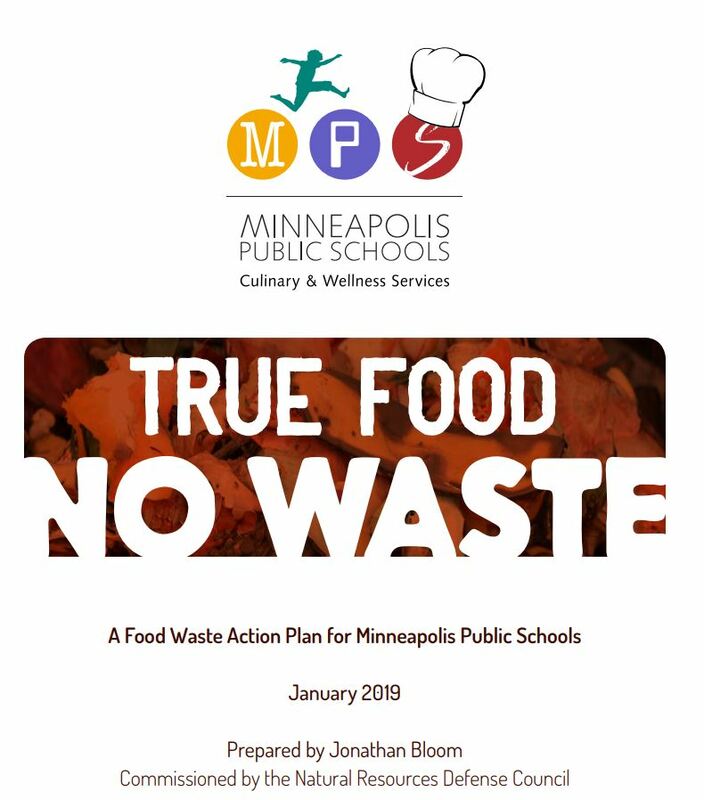 The “True Food, No Waste” Plan is available at https://www.nrdc.org/sites/default/files/minneapolis-k-12-food-waste-action-plan-201901.pdf. More information on the UBC campus biodiesel production project can be found on the Engineers for a Sustainable World UBC web site at http://blogs.ubc.ca/sustainabilityclub/biodiesel-project/. This project is similar to the Illinois Biodiesel Initiative (IBI), which evolved from an Engineers Without Borders project on the campus of the University of Illinois at Urbana-Champaign. See https://icap.sustainability.illinois.edu/project/illinois-biodiesel-initiative-ibi and http://biodiesel.illinois.edu/ for further information on that project. Similar projects have also been coordinated with high school students converting waste cooking oil from K-12 school food service operations for use in district school buses. See the archived suggested activity “Divert or create biodiesel from waste cooking oil” document from the original Green Lunchroom Challenge K-12 pledge program for more information and inspiration for incorporating such an activity, or information about it, into K-12 lesson plans. Has your college, university, or high school/school district diverted used cooking oil to fuel in a similar fashion? Consider sharing a link to a site describing your efforts or a brief description of your project in the comments section of this post. In the 12/14/18 online edition of the Daily Herald, Paula A. Lubenow reports on Growing Healthy People, a non-profit organization which has “created year-round gardening programs at Thomas Jefferson Middle School in Waukegan, Lake Forest Country Day School and Bowen Park Urban Ag Lab in Waukegan. The organization utilizes cutting edge gardening technology including hydroponics, aquaponics and aeroponics in greenhouses to allow students to grow food year-round during the entire academic school year. The students at Jefferson Middle School also contribute their produce to the Roberti Community House and food pantries in the Waukegan area. Students learn valuable life skills through these gardening programs: how to grow their own food; the importance of healthy food and good nutrition; and about careers in horticulture.” Read the full article at https://www.dailyherald.com/submitted/20181213/growing-healthy-people-high-tech-school-gardening-programs-teach-students-important-life-skills. There are three suggested activities related to school gardens which were part of the original Green Lunchroom Challenge voluntary pledge program for K-12 schools (out of which this blog began). Within the “Food Sourcing” category, participants in that pledge program could earn points by establishing an on-site garden to provide fresh seasonal produce on demand, expanding an existing on-site garden, or involving students in the maintenance of a school garden. Though the pledge program has ended, the suggested activity pages are still great guides to incorporating school gardens into your food waste reduction and prevention strategies in K-12 food service operations. The practices taught through the Growing Healthy People programs would be excellent for schools interested in starting or expanding their school gardens, and they’re proven effective in student involvement. 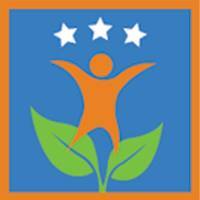 We applaud Growing Healthy People and the three schools in Waukegan, IL mentioned in the Daily Herald article for their efforts! To learn more about Growing Healthy People, check out their Facebook page at https://www.facebook.com/growinghealthypeople/. Most food service operations produce some amount of spent coffee grounds. Even in K-12 schools, cafeterias, staff lounges, and administrative offices often serve coffee for the adults on site. I intend to write posts in the near future about some of the more traditional ways to divert spent coffee grounds from landfill (e.g. composting, use as a substrate for growing mushrooms, etc.). But a recent news article has prompted me to highlight a diversion strategy for this material which you may not have considered: feedstock for the production of biofuels. On October 2, 2018, Ohio-based Dunkin’ Donuts Coffee at Home introduced a “tiny home” in New York City’s Madison Square Park which is powered by biofuel created from spent coffee grounds. The biofeul is a custom B80 blend created by Blue Marble Biomaterials–80% of the fuel is oil from Dunkin’ coffee grounds and 20% is alcohol to allow the fuel to burn efficiently. The “Home that Runs on Dunkin'” will be open to the public in Madison Square Park in New York City, on Broadway between 23rd and 24th Streets from Thursday, October 4 through Saturday, October 6. If you’re curious but not in NYC, check out the 360 video tour available at https://www.dunkinathome.com/whats-new/home-runs-on-dunkin. According to that site, “Every 170 pounds of spent coffee grounds yields about one gallon of fuel and is used in a standard biofuel generator.” The site also states that 65,000 pounds of spent Dunkin’ coffee grounds were used to create the biofuel. The Home that Runs on Dunkin’. From https://www.multivu.com/players/English/8406651-home-that-runs-on-dunkin-donuts-coffee/. Blue Marble Biomaterials is based in Missoula, MT. Learn more about them at https://bluemarblebio.com/. Of course, this particular solution isn’t practical for small generators such as a single school, restaurant, or hospital. But restaurant and hotel chains or large institutions, particularly those in areas where on-site composting is infeasible and where commercial composting service is not available, might be interested in exploring the possibility of partnering with a biofuel producer to divert coffee grounds from landfill. To assist in such investigations, see the National Biodiesel Board’s map of member plants at http://biodiesel.org/production/plants/plant-maps#map. You could also reach out to colleges and universities in your area to see if scientists on campus are conducting biofuel research and might be interested in using your spent grounds as feedstock in their experiments. 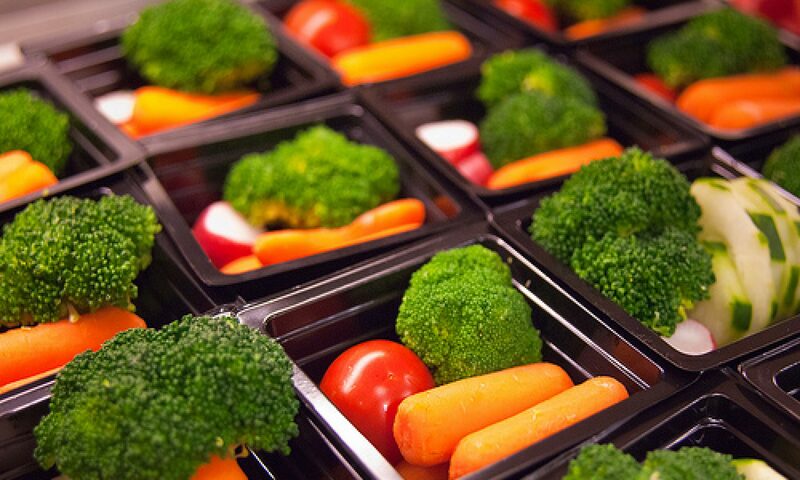 Want learn more about reducing waste in your school’s cafeteria? Mark your calendar for Thursday, September 20 at 1:00 PM CDT. Susan Casey of Seven Generations Ahead will discuss how to plan and implement waste reduction strategies in your school lunchroom, including waste prevention, recycling, composting, and food recovery/donation. The webinar will focus on the operational changes as well as the education needed to make the strategies successful. Special focus will be given to food waste reduction options, including share tables and donation to food pantries. 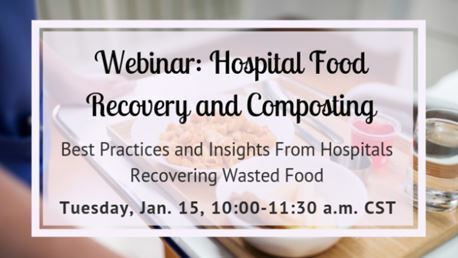 This webinar will be helpful to anyone interested in reducing waste in their school or district, and many schools that have implemented recycling and commercial composting programs have been able to divert 85% or more from landfills. Get your school on a path to zero waste– and engage students in the process. Learn more and register for this free webinar at https://cornell.zoom.us/webinar/register/WN_n0bl3rT3Q86Z_cxrPzb_Lw. Join SCARCE (School and Community Assistance for Recycling and Composting Education) on September 18 from 1:00 – 2:30 PM CDT for a free webinar on how to start a sharing table at your school. A sharing table is a system in which uneaten unopened packaged foods or beverages, or unpeeled fruits, may be placed in a central location within a lunchroom by student that do not want them, so that other children may consume these items. This diverts edible material from the waste stream to human consumption. See the related suggested activity from the original Green Lunchroom Challenge program for further information on establishing a sharing table. In their upcoming webinar, SCARCE will discuss the what, why, and how of starting a sharing table in your cafeteria with real-world examples drawn from their experience working with schools. Register for the webinar at https://www.scarce.org/event/how-to-sharing-table918/. 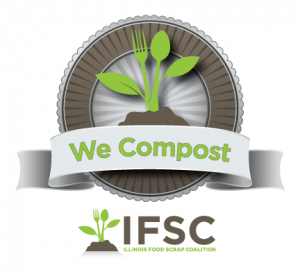 We Compost is a free recognition program administered by the Illinois Food Scrap Coalition that promotes businesses and institutions that participate in a commercial compost program. The purpose of the program is highlight entities that compost their food scraps and thus encourage consumers to patronize businesses that are responsibly managing food waste. It also serves as means to encourage institutions, like schools, universities, museums, hospitals, food pantries, churches, governmental organizations, municipalities, etc. to compost their food waste, and raise awareness of the importance of composting by publicly sharing the practice. Participating businesses and institutions receive a window decal to place on their front door or other prominent location to let stakeholders know they compost. Until recently, only entities that worked with a commercial composting service could be recognized by the We Compost program. However, many areas of Illinois still don’t have access to a commercial compost service provider. Even so, in those areas, programs like schools, churches, community gardens, etc. may have started on-site compost piles. Additionally, in areas with access to commercial composting, there are sometimes reasons to pursue on-site composting instead. Perhaps an organization doesn’t generate enough food scraps or other organic waste to justify the cost of engaging a compost hauler, for example, or maybe involving stakeholders in the process of creating and tending compost piles or bins is desirable (e.g. at a school or community garden). In any of these situations, programs were sadly not able to receive recognition through We Compost for their efforts to keep organic materials out of landfill. But now, the IFSC has announced the We Compost program will include a special “Green Partner” level to recognize organizations and businesses that compost food scraps on-site. This level is in addition to the “silver” level for entities employing commercial composting service to divert either pre-consumer (e.g. kitchen prep waste) or post-consumer (e.g. plate waste) scraps, and the “gold” level for entities composting both pre- and post-consumer scraps. So if, for example, you’re a restaurant in a rural area where commercial composting isn’t available, but you still have a compost bin on your propertyor a school with a garden that has students creating compost from the garden and/or cafeteria, you can now be recognized by IFSC. Fill out this form to apply for Green Level recognition: https://docs.google.com/forms/d/e/1FAIpQLSfCMhCYTt7okcqj10XQccOjThtgDvptyS7wzZ8W764DEDFQvA/viewform. For more information on the We Compost program, or learn how to apply for recognition for composting food scraps with a commercial service provider, see http://illinoiscomposts.org/we-compost. If you want to search for a service provider in your area, see the Illinois Composter Facility Map at https://www.google.com/maps/d/u/0/viewer?mid=1qOtNjnsUx0A_7bKrMOc5dsNjU2Y&ll=40.356936414535824%2C-86.22039979285444&z=7.